Helen Zeng recounts Millie's mentorship through the years and Millie's impact on AARD. We miss Millie so much! 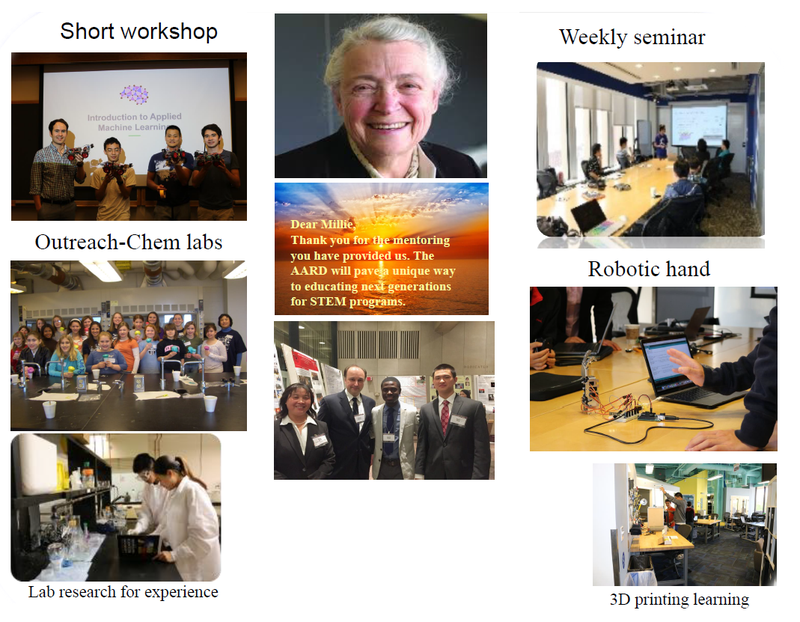 She was a mentor to my career development at MIT and to my own personal life. As a fellow woman in science and engineering, she was a huge inspiration. She would always say, “Just do it even if you hear ‘no’”. I had been a faculty member in KY for 4 years (2004-2008), a visiting professor at MSE in MIT (2008-2009), and worked with Dr. J. Kong for over 3 years before I worked with Millie as a senior scientist in her group (Jan. 2013-Dec. 2014). At that point I had already obtained two research grants at MIT, successfully supervised diverse students, visiting scholars, and served on the NSF proposal panel for over 15 years. With my intensive experience in education and training students, I planned to establish an academy for high school and undergraduate students in 2015, and it won her support. 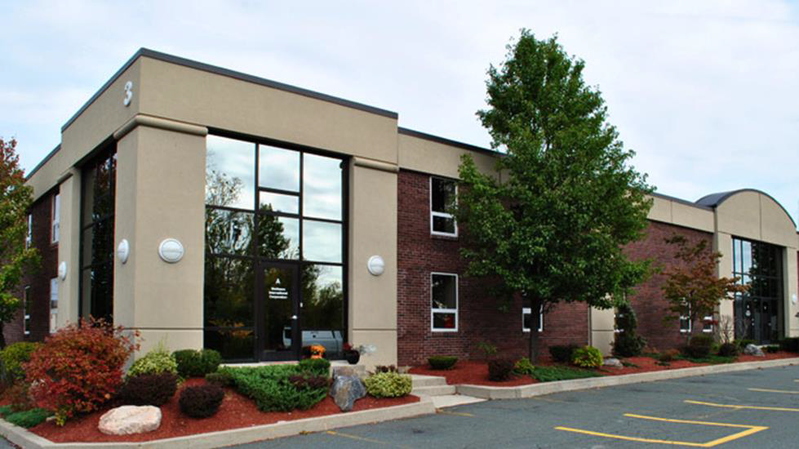 The Academy for Advanced Research and Development (AARD) was born in January of 2016 at the Cambridge Innovation Center. 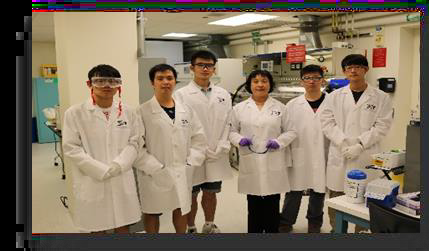 Our mission is to provide year-round professional training for students in the labs for research experience in order to prepare them for more advanced studies fields of interest and for successful career development in top universities. Apart from mentoring to me, Millie promised to be one of the supervisors for AARD, but she left us. Although she is no longer with us physically, her ideals of educating and opening opportunities for the youth moves us forward. Our group members were with Millie for her MRS Von Hippel Award in 2013. She always encouraged me to help students with developing research projects, helping to design experiments, solving problems, and supervising students for data analyses, and writing publications. She specially supervised me to write better proposals for funding. Millie would help me bring our supervised students to conference events for public judgements. Millie always encouraged me to go to professional conferences, and introduced her collaborators to me. She taught and inspired to keep overcoming problems and face challenges in the scientific community. 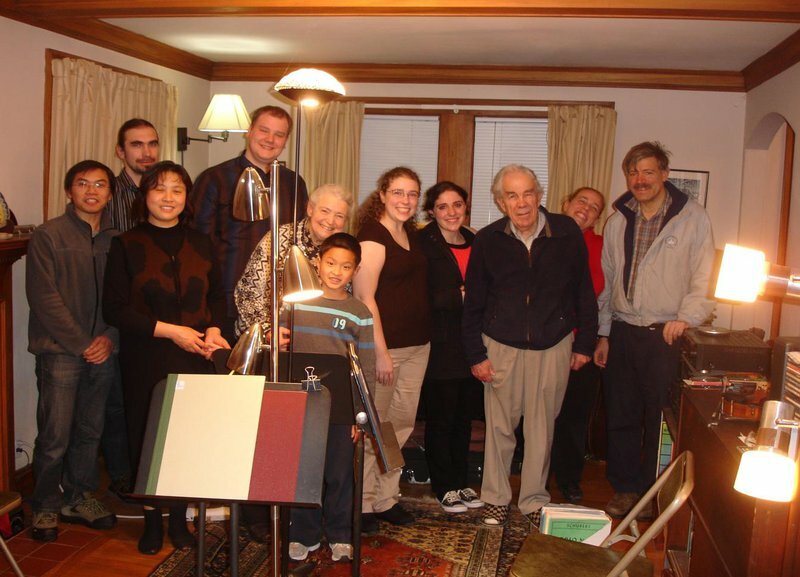 We sincerely thank the Dresselhaus family for inviting us for Thanksgiving dinner in 2009. We will never forget the musical performance put up by Millie’s family. 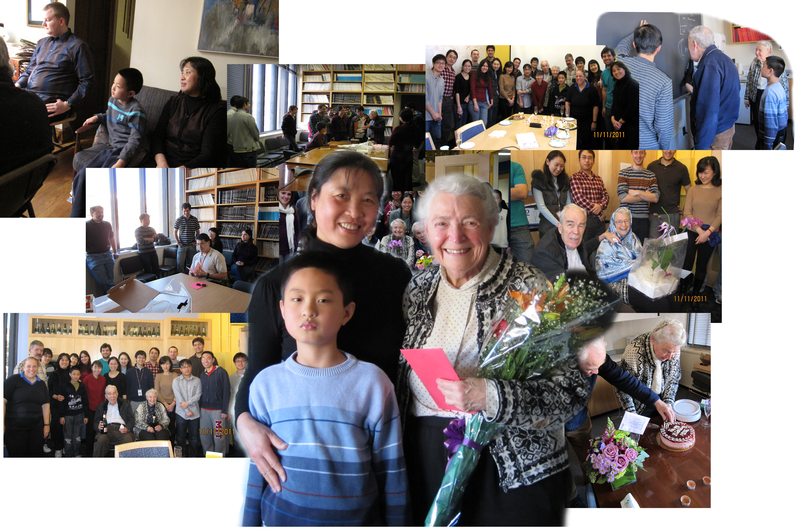 Celebrating birthdays for Millie on Nov. 11th was a tradition in our office for Dr. Dresselhaus’ and Dr. J. Kong’s groups. Millie advised me to keep my son busy by involving in science. After I have spent much time to help high school and college student visiting groups. I discussed with Millie for the need of high time commitment and professional training demand in preparing the students ready for top universities. Thus the AARD was founded by me with Millie’s mentoring support in Jan. 2016. Prof. Zhonglin Wang in Georgia Tech gave the name “Academy for Advanced Research and Development (AARD). AARD Team is formed by retired MIT and Harvard professors/scientists, and alumni. Millie mentored me for how to legally become users of shared facilities, and advised us for how to find advisors from her colleagues. AARD Continues… and so does Millie! 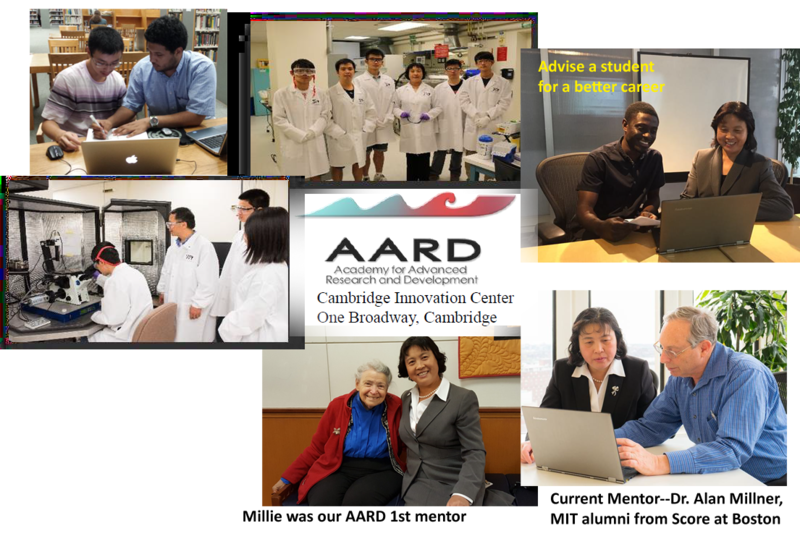 In memory of Millie’s supervision in STEM education for the youth, we offer STEM programs & lab research projects year-round in our AARD labs. We prepare these talented candidates for top universities and to become industry leaders. IntroductionMillie’s Impacts on My Professional Career at MITMillie’s Impacts on Women’s Professional Career Development in Science/Engineering CommunityMillie’s Impact on My Personal LifeCelebrating birthdays for MillieMillie’s Impact on AARDAARD Continues… and so does Millie!